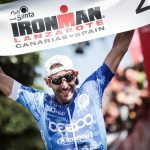 Lanzarote – The 22-year-old Frenchman Tom Lecomte and the Britain’s Lucy Gossaage proclaimed themselves brilliant winners of the seventh edition of the Ironman 70.3 Lanzarote, held on Saturday morning at Club La Santa, in the Lanzarote municipality of Tinajo. A lot of foreign and Spanish participation, some 660 competitors who came to the event attracted by a test and that consolidated in the calendar of 70.3 races, and that also offered 50 slots for the 70.3 Ironman World Championship that will take place in the French city of Nice 2019. The Club La Santa, with the license of as organizer of the brand, demonstrated its experience in these events. The distances travelled by the participants were 1.9 km. 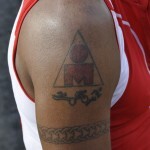 of swimming, 90.1 km of cycling and 21.1 km of running. It was a hot, sunny day, with no wind, which made it an even tougher race. The first to emerge from the water at dawn was Manuel Küng from Switzerland in 22 minutes 50 seconds, ahead of the Spanish Emilio Aguayo and the German Nils Frommhold. Frommhold, belonging also to the Erdinger Alkoholfrei team where World Champion Patrick Lange belongs to, did a quick transition that made him come out first. 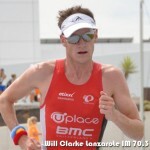 On the bike, passing through the beautiful landscape of vineyards and volcanoes, Frommhold and the young Tom Lecomte, who had left the water only 3 minutes after Frommhold, showed their best performance and entered T2 only two minutes apart. Frommhold followed by Emilio Aguayo and by the Brit George Goodwin. It would be the run that would put everyone in their place. Frommhold who went first began to descend inexplicably and in some sections, he began to walk. Lecomte saw his chance and attacked by overtaking the German and entering victorious at the finish line with 3 hours 51 minutes 41 seconds. As in 2017, the Spanish Emilio Aguayo could get the second place after a spectacular comeback ending in 3 h.57.46. In third place came George Goodwin with 4 h. 011.11, whom by far surpassed the problems of the prevailing heat. 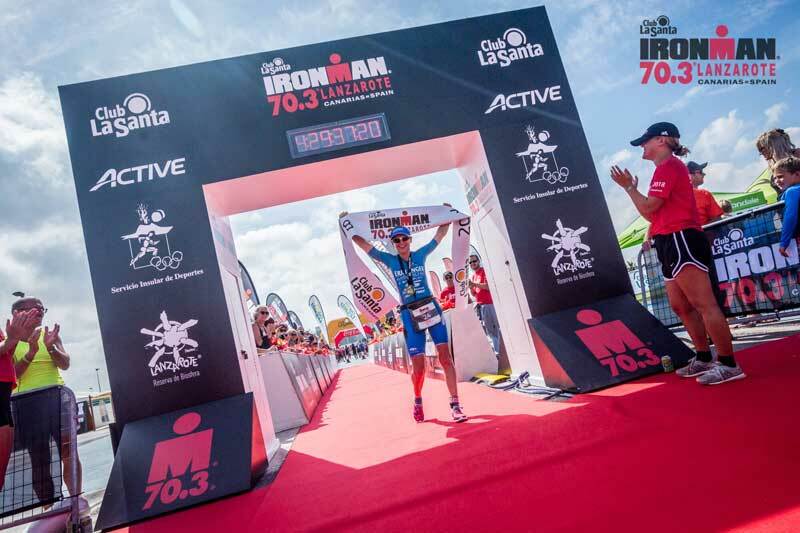 Nothing to add to the triumph of the Brit Lucy Gossaage, the winner of this year’s Ironman Lanzarote, despite leaving the water in fifth position, she knew how to play her cards in the last two segments. She made the best bike split, which put her at the head of the field, with enough advantage to enter victoriously with a time of 4 hours 28 minutes 2 seconds, ahead of the German Jenny Schulz with 4 h.30.41 and the Spanish Anna Noguera with 4 h.32.10, who made a spectacular comeback. 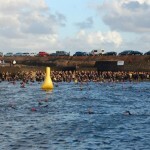 The seventh edition of Ironman 70.3 Lanzarote began at the headquarters of Club La Santa. The 1.9 km swimming trip in the resort lagoon started at 07:30, followed by a 90 km bike route that consisted of two laps, one long and one short, with a prolonged ascent through Soo, Tiagua, Tinguatón, Uga, return to Club La Santa, to then go towards the Hermitage of Los Dolores in Mancha Blanca and return again to Club La Santa. From here the bikes were left to start the 21.2 km run through the town of La Santa. The public that came to witness the event, enjoyed the show offered by the participants who applauded and encouraged their passage through the different towns of the route closed to traffic.